In Soviet Russia...Warface faces YOU. Warface is still on its way to North America...sometime. But at this point the game is already out in some other territories, namely Russia. The Crytek Engine 3 powered free to play game on the PC is boasting some impressive numbers already, with over 5 million active players. According to Crytek, Russian players voted it the best online game in Russia as part of the Runet Awards; which were designed to honor the best Russian-language based games on the internet. We spent some hands on time with the game at PAX 2012 earlier this year and we're still awaiting a full Western release. We're not quite sure what the hold up is, but when it is released, we should get a fairly balanced and polished product thanks to 5 million Russian "testers." 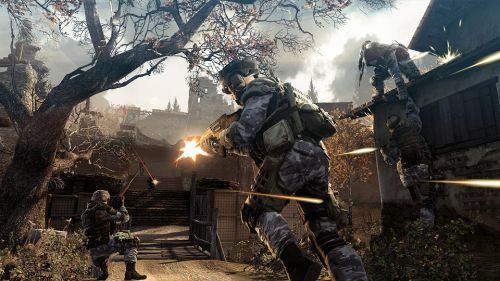 Warface features a dedicated co-op mode for up to five players online as well as competitive modes of gameplay. Page created in 0.2441 seconds.